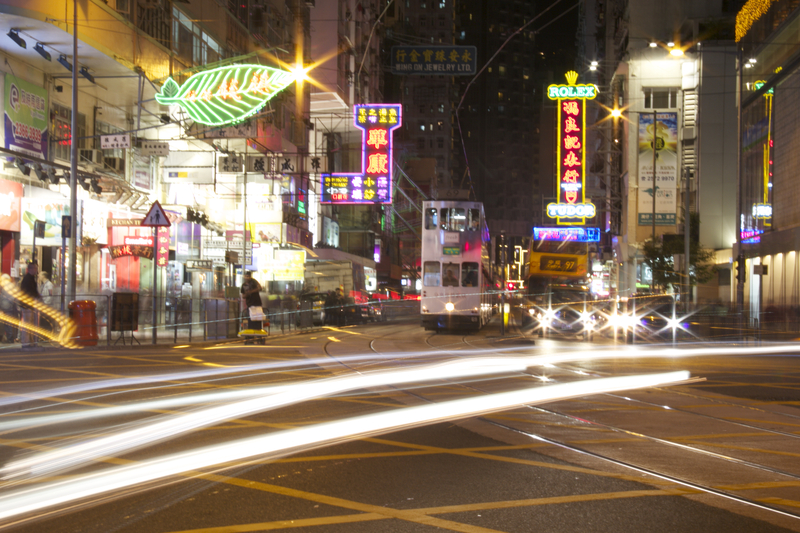 Part 13: Exploring Hong Kong By Night | Nam Writes. 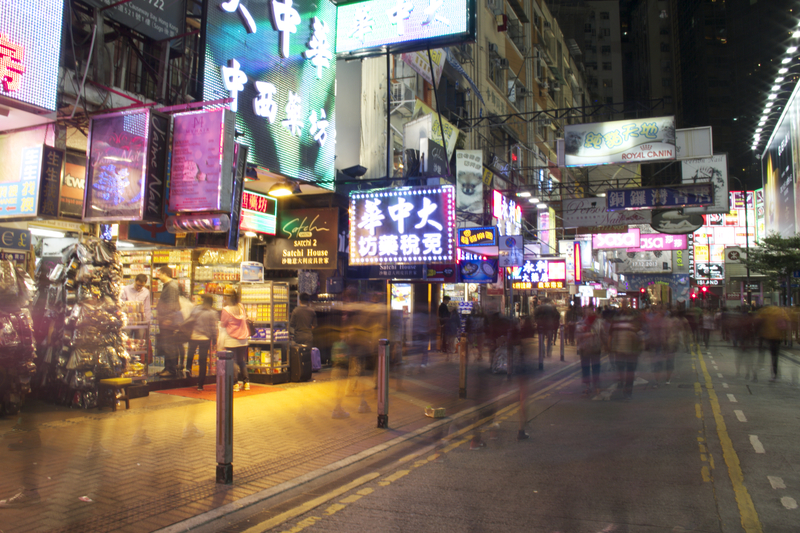 We loved Hong Kong by day, and we loved it just as much at night. There are plenty of lights, plenty of night markets if you’re looking for cheap trinkets and souvenirs (not really), and tons of fun for those obsessed with nighttime photography (totally and unapologetically guilty). Here are some of my favorite shots from our night adventures. 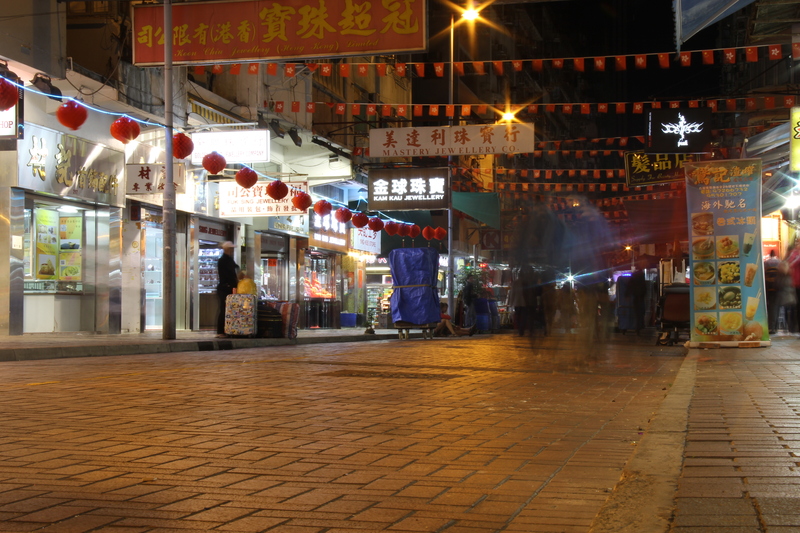 This is the entrance to the Temple Street Night Market on Kowloon. I was literally sitting on the floor with my mini tripod… the things I will do to take a picture…insane! These pictures were a lot of fun to take. 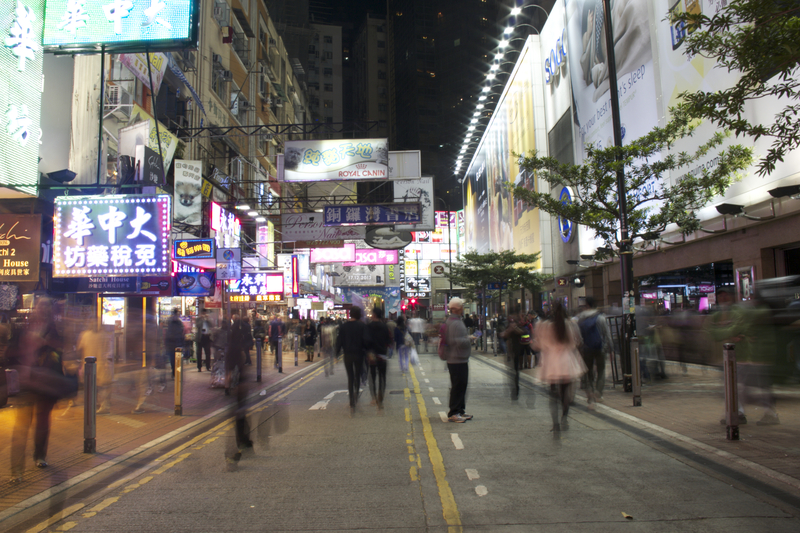 As we strolled through Wan Chai, I stumbled upon a pedestrian island in the middle of a busy street, which turned out to be the perfect place to take pictures of Hong Kong’s night traffic. 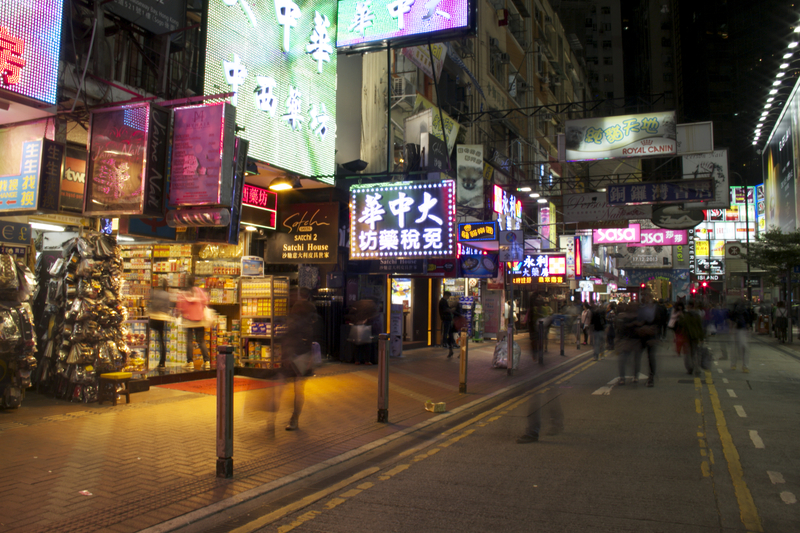 As we walked east from Wan Chai, we hit Causeway Bay, the place to go for hectic local nightlife. See if you can find The Boyfriend in the picture below. He is the guy in the middle in the grey sweater, graciously carrying my hot pink backpack. 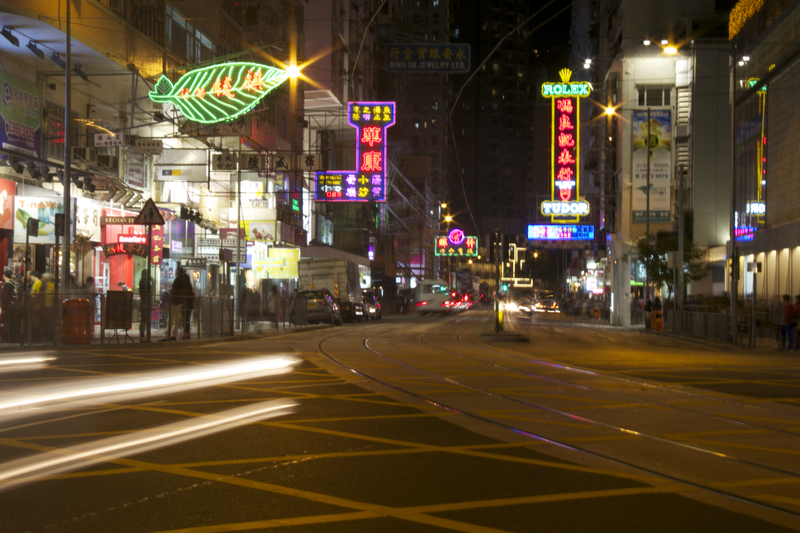 And finally, we finished our trip to Hong Kong the way we started it: With a trip to the Peak at night. Turns out, taking night pictures from the Peak without a full standing tripod is extraordinarily difficult. These pictures involved some seriously impressive balancing maneuvers. I like the nebulous shots of HK island! Are you a fan of the MTR?